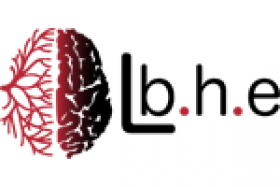 PhD candidate will work at the Blood-brain barrier (BBB) laboratory located in Lens, France. BBB-Lab is recognized as world expert in the modeling of the BBB. This team has carried out pioneering works in establishing animal models of the BBB which has been used to investigate BBB physiology and distribution of compounds for pharmaceutical industries. In 2013, the team set up a human in vitro model of the BBB which is now widely used for mechanistic studies and for permeability screenings, and consisting to cultivate CD34+-cells with brain pericytes. Applications are invited for a 36 months PhD fellowship under the supervision of Pr Fabien Gosselet. The starting date is September 2019. The successful candidate will investigate the role of ABCA7 at the human blood-brain barrier level. Lamartinière Y, Boucau MC, Dehouck L, Krohn M, Pahnke J, Candela P, Gosselet, F, Fenart L. ABCA7 Downregulation Modifies Cellular Cholesterol Homeostasis and Decreases Amyloid-β Peptide Efflux in an in vitro Model of the Blood-Brain Barrier. J Alzheimers Dis. 2018;64(4):1195-1211. doi: 10.3233/JAD-170883. PubMed PMID: 30010117. Applicants have to send a full CV to fabien.gosselet@univ-artois.fr (http://lbhe.univ-artois.fr/membres-lbhe/fabien-gosselet) before the 1st of March. Selection will be made by interviews using SKYPE or another visioconference system. • Fluency in English, knowledge of French is a plus.